​Floyd Cherokee Medical Center is a not-for-profit 60-bed hospital in Centre, Alabama and a member of the Floyd health system. 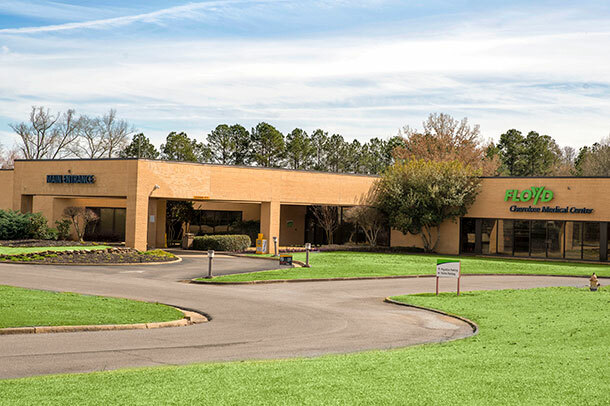 Floyd Cherokee Medical Center offers an array of medical services to the more than 25,000 citizens of Cherokee County and visitors to Lake Weiss. The hospital provides diagnostic imaging, drug and alcohol treatment, emergency care, laboratory services, nutritional services, pharmacy, respiratory care, rehabilitation services, surgical services and post-acute swing bed program.